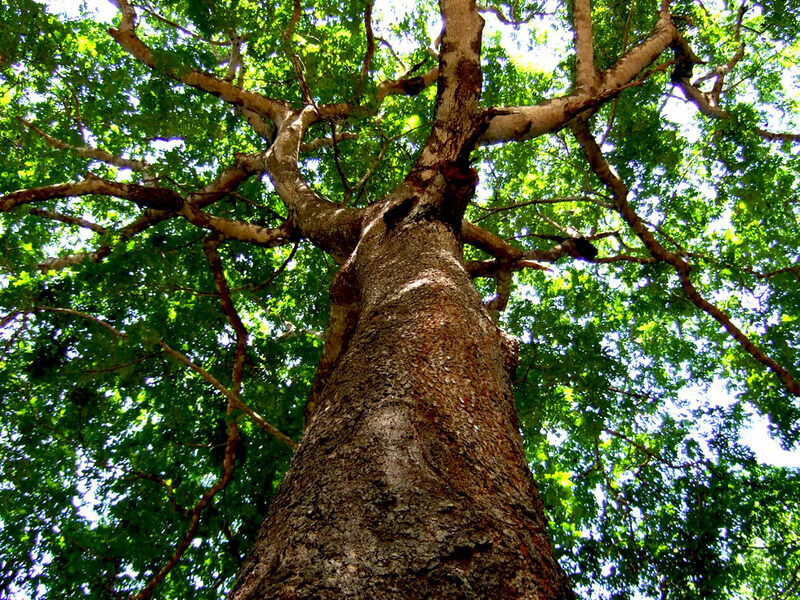 RIPPLE Africa receives many general enquiries asking about the natural environment in Malawi, Africa, and particularly about deforestation in Africa. 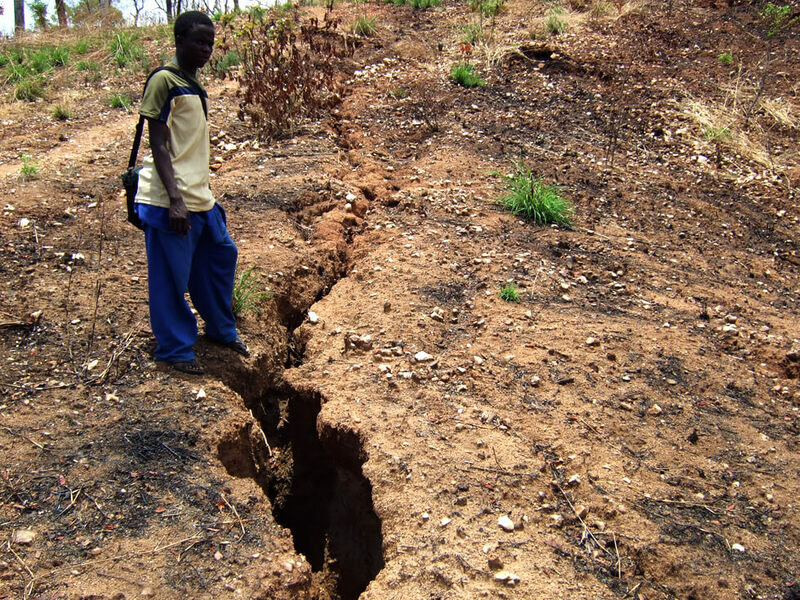 To help people wishing to gain a better understanding of some of the complex environmental issues Malawi is facing, we have provided a page about the environment and deforestation in Malawi and, most specifically, the Nkhata Bay District where RIPPLE Africa is based. 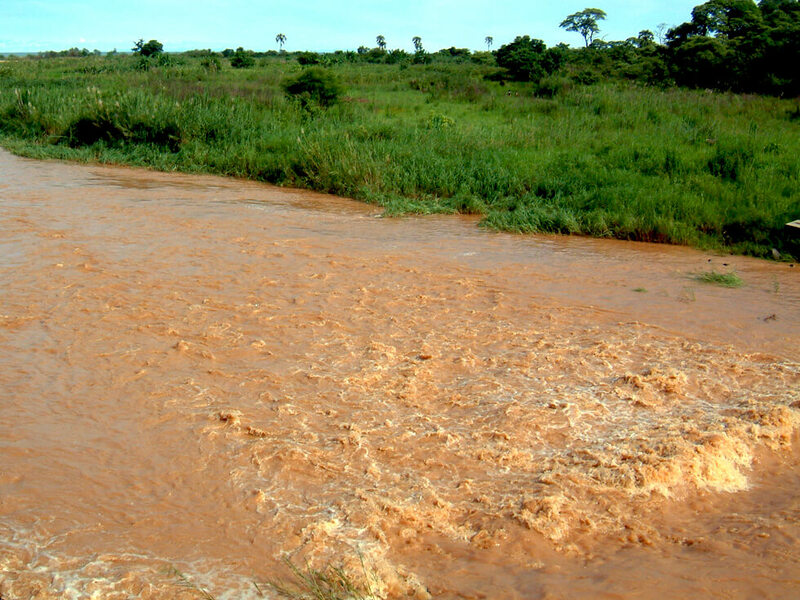 The environment is one of RIPPLE Africa’s three main pillars of activity. It is also the charity’s only area of focus which goes beyond our own local community: RIPPLE Africa’s environmental projects span the entire Nkhata Bay District, an area of just over 4,000km². In recent years we have also expanded to Nkhotakota, Mzimba and Salima Districts. RIPPLE Africa’s environmental projects include fish conservation, tree planting, fruit tree projects, fuel-efficient cookstoves, forest conservation, and more. Malawi is a landlocked country in south-eastern Africa, bordered by Tanzania, Zambia, and Mozambique. Malawi is 118,000km², but one fifth of the country is made up of Lake Malawi, so actual land area is 94,080km², roughly the size of Scotland and Wales combined. The Great Rift Valley runs through the country from north to south, and Lake Malawi lies to the east. Land is made up of mountains, plateaux, hills, valleys, flatlands, and lakeshore. Malawi has a sub-tropical climate, and experiences a rainy season from December to March, a cold dry season from April to August, and a hot dry season from September to November. Malawi was previously heavily forested. However, according to the Food and Agriculture Organization of the United Nations (FAO), forest cover is now just 26.4% of the total land area of Malawi (UN data 2016) (fallen from 34.4% in 2010 and 41.4% in 1990). The Northern Region, where RIPPLE Africa is based, has more forested areas than the heavily populated Southern and Central Regions combined. The challenge for Malawi for the future, with its rapidly growing population, is to help communities to develop a more sustainable approach to the environment. 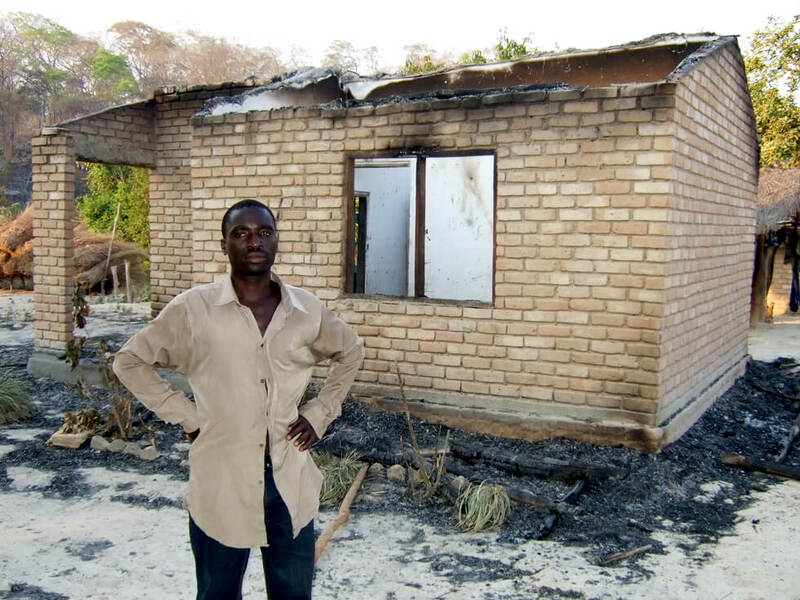 Most of Malawi was originally covered by forest but, over the years, people have been cutting down the trees and burning them where they fall to open up areas for farming — this is commonly known as “slash and burn” agriculture. In the past, these areas were farmed for one to three years, and then the farmer would move on, cut down some more forest, and start all over again. Whilst the population of Malawi was small, the environment was able to recover as the trees would regenerate but now, with the population doubling every 25 years (the population of Malawi is estimated to be 18.6 million (2017 Source World Bank) — see Malawi Facts and Figures), there is increased pressure on available land. Today, more than 80% of Malawians live in the rural areas and are subsistence farmers. During President Hastings (Kamuzu) Banda’s time in office following Malawi’s independence from Britain in 1964 until 1994, the forests in Malawi were protected. 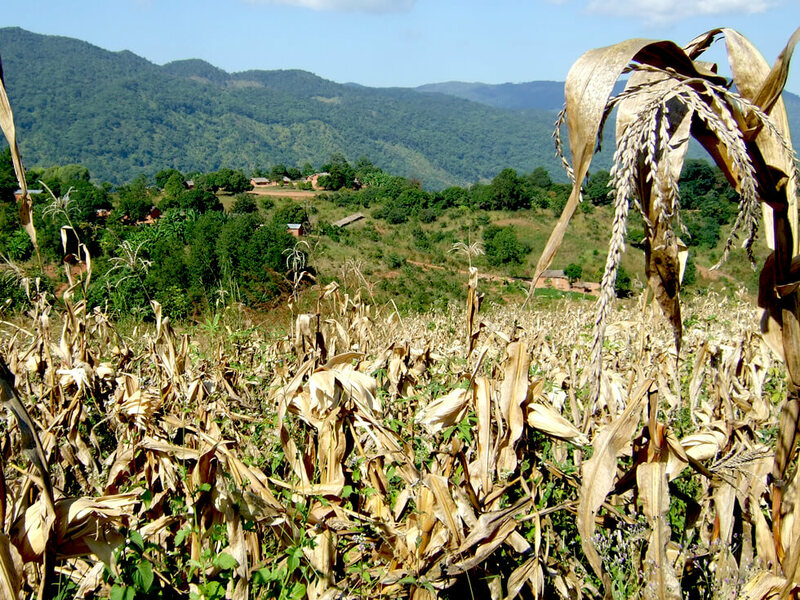 However, with the arrival of multi-party politics and democracy in 1994, the people believed that they had the freedom to do what they liked, and huge areas of forest have been cut down in the past 20 years to provide more farmland to produce food. 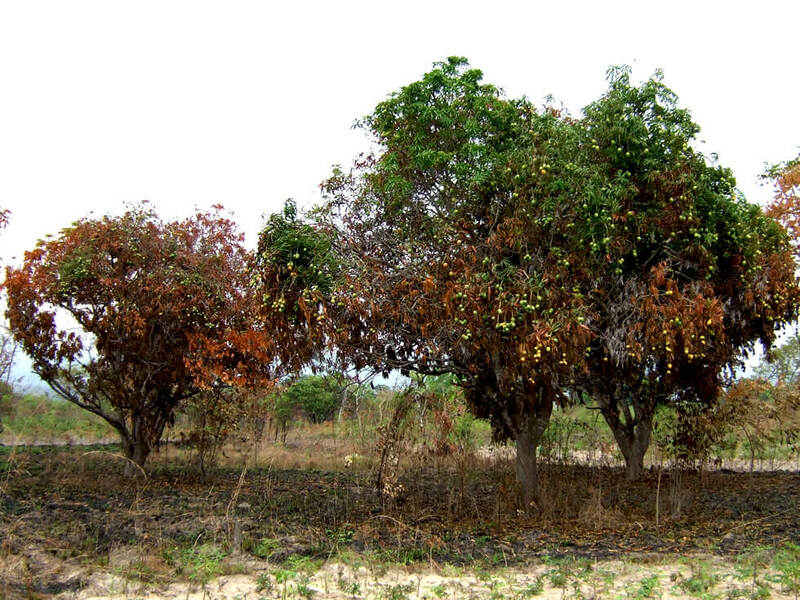 The result is that much of the country has very few forests left and, in fact, it is not possible to see a large tree in many places in south and central Malawi. 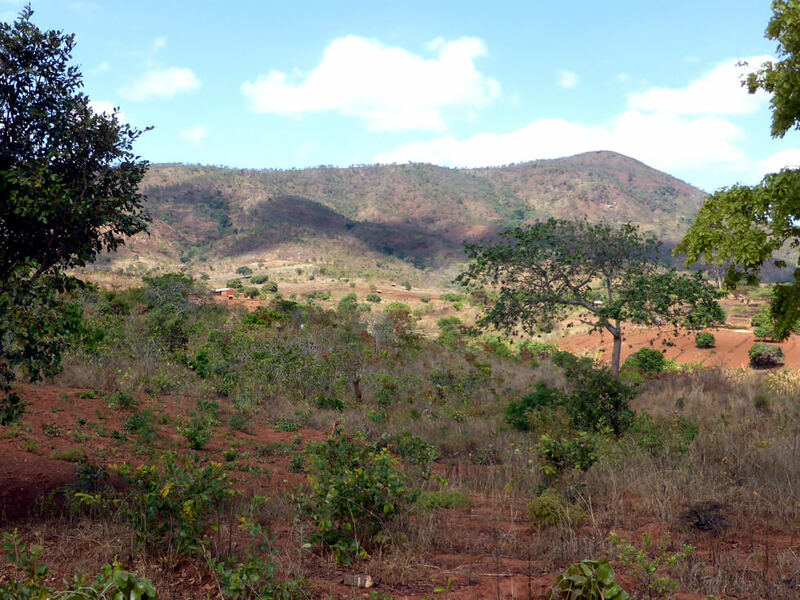 In Nkhata Bay District, the area in which RIPPLE Africa is working, there are still large areas of forested hills, but these are disappearing very quickly because people from other areas of Malawi are now moving into the District and cutting down the trees illegally. 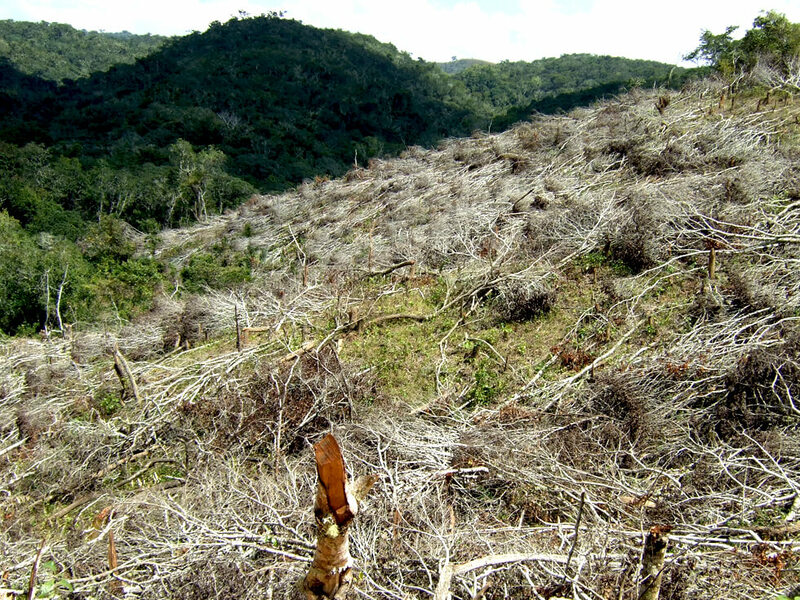 The deforestation in the hills is causing a major change to the landscape and to the climate. 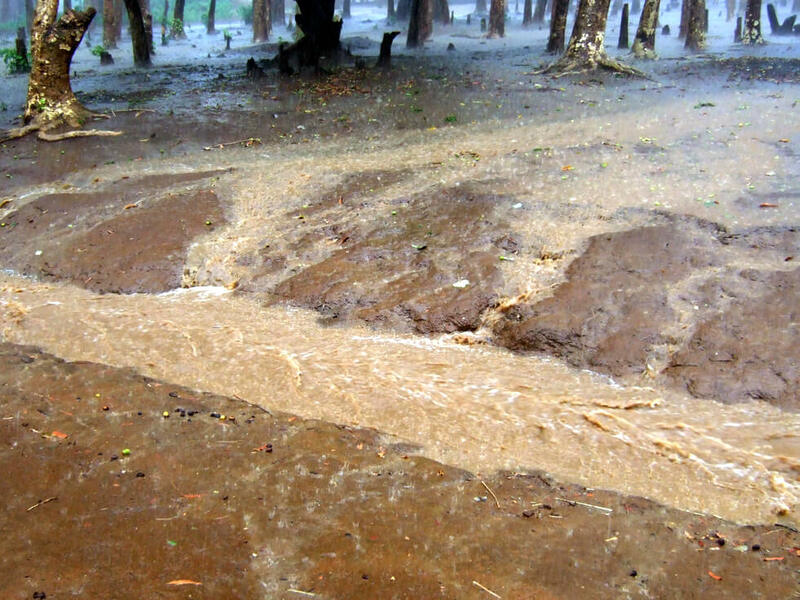 As soon as the trees are cut down, the soil is exposed to the rain and, in many places, most of the top soil is washed away into the rivers and eventually into Lake Malawi. 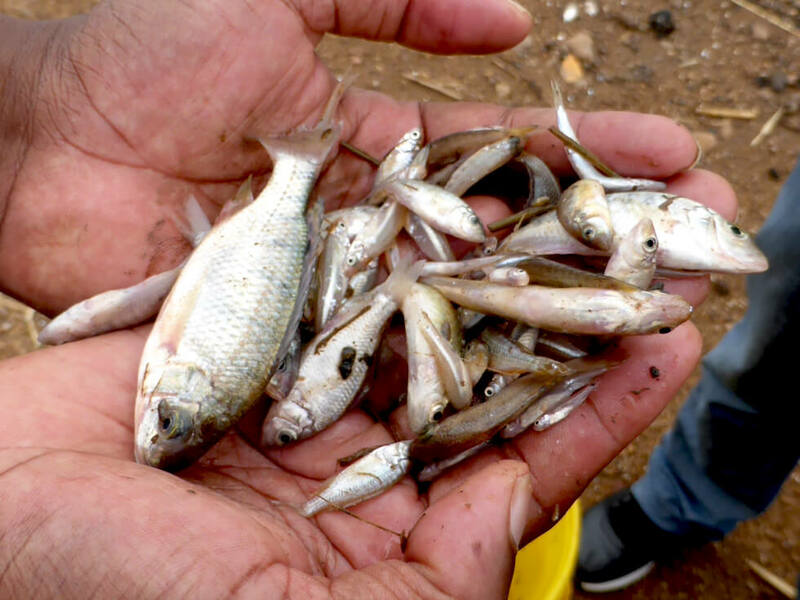 This is leaving the hills infertile so that trees and crops do not grow well, and the soil that is being deposited in the lake is affecting fish stocks which, together with over-fishing, is causing a dramatic reduction in the number of fish that are being caught in the lake. The main reasons why the trees in Malawi are cut down are as follows. 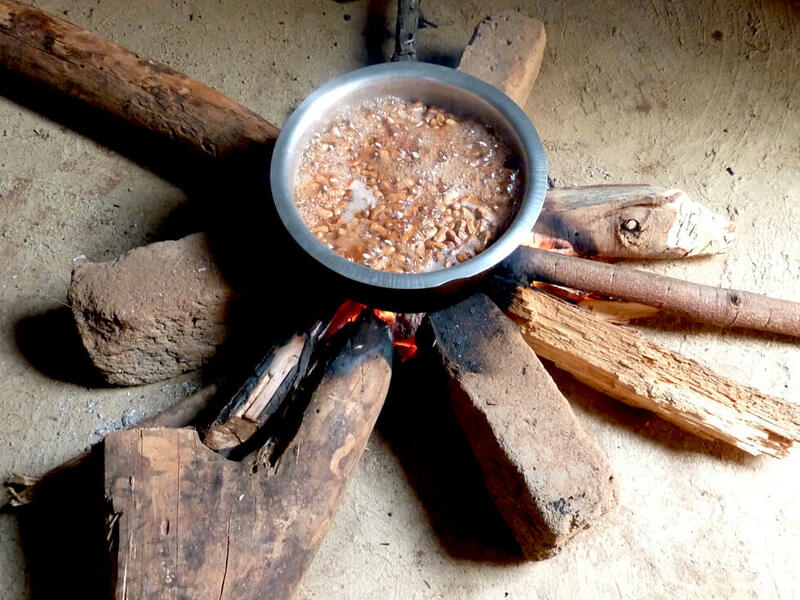 Wood is the main fuel in Malawi, and 95% of homes still use wood or charcoal for cooking. 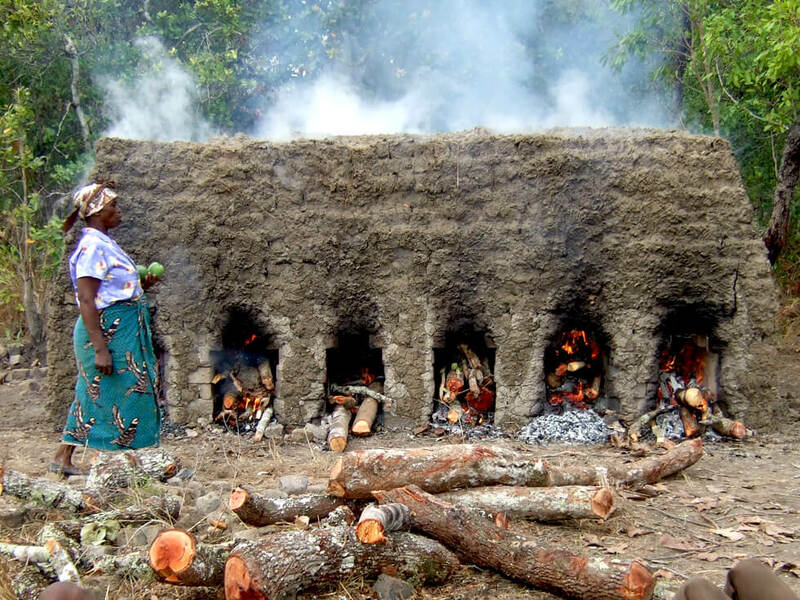 Nearly everybody uses three-stone fires for cooking, and each fire consumes about three large bundles (weighing about 30kg each) of wood per week. In many areas, wood is now becoming very scarce. 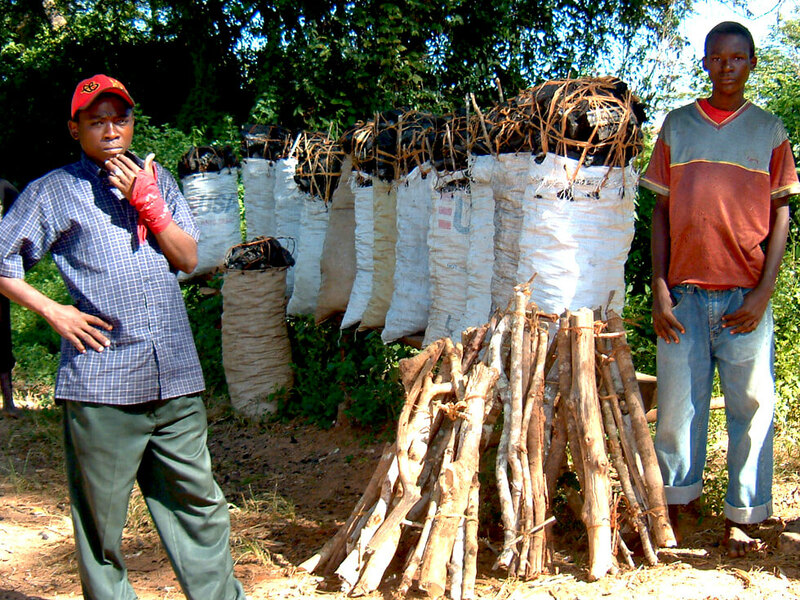 Although the government has a number of laws to restrict the sale of wood and charcoal without a licence, the practice is very common throughout the country. 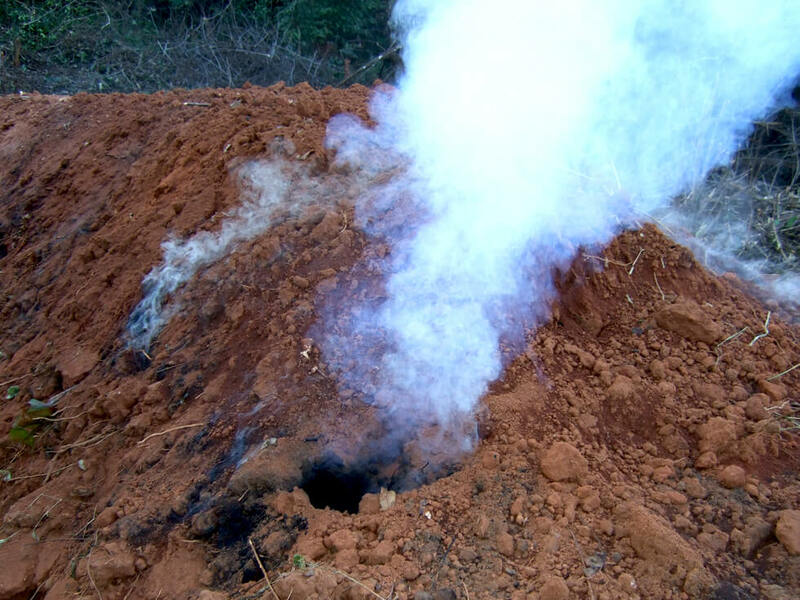 The use of charcoal for cooking is more common in the major towns, but charcoal production and the sale of charcoal is illegal. However, despite this, the people in rural areas produce many bags of charcoal which are transported to the towns. This fuel is incredibly wasteful as it uses a considerable number of trees to produce one bag of charcoal. Most houses in Malawi are made from bricks, and these are commonly made by putting clay soil into moulds and then drying them in the sun. These sun-dried bricks are then built into a large kiln and vast amounts of wood are used to fire them. In October/November, it is normal to see people burning their bricks all over the country, but there is no restriction on this activity at the moment. To make enough bricks for a small family house would require three large mango trees or the equivalent. 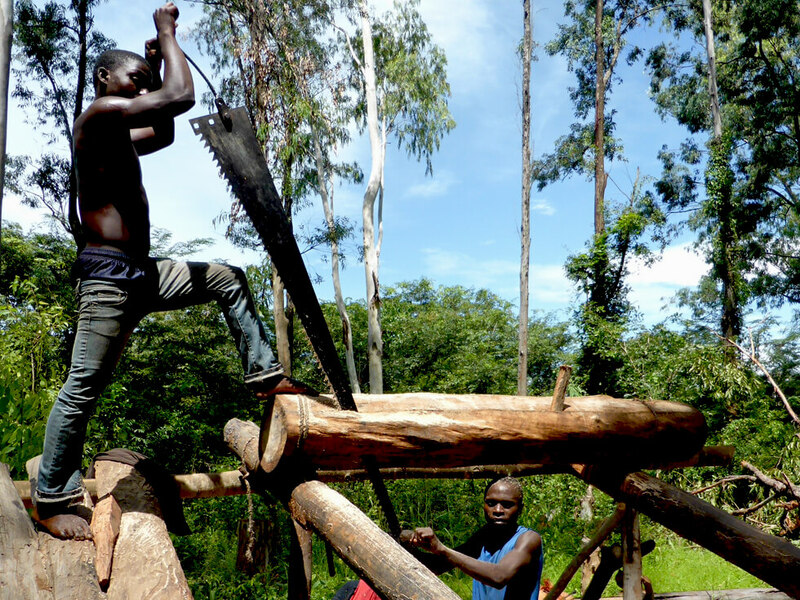 There is now very little hardwood available in Malawi for timber production. Sawyers walk up into the hills and cut down the best hardwood trees to make planks for building and for furniture. 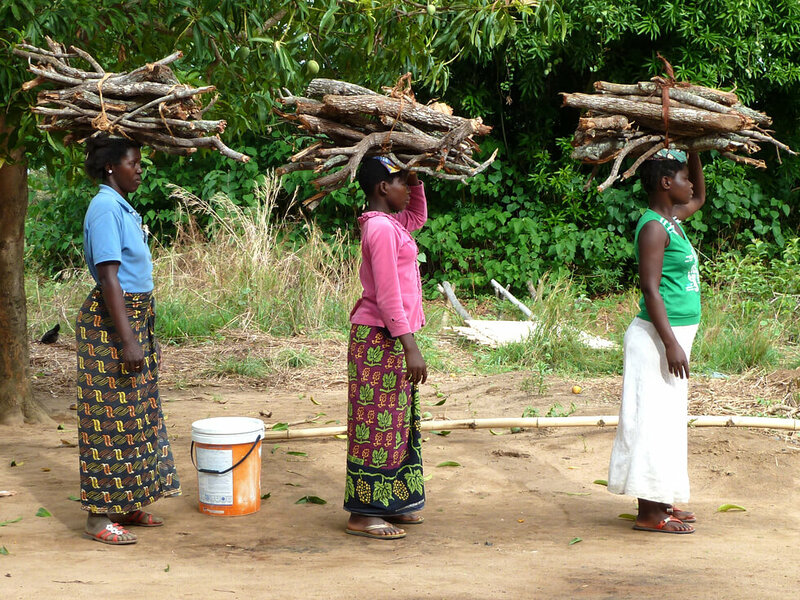 Although wood is such an important resource in Malawi, the Malawians have been very poor at managing their woodland and replanting their trees. Malawians used to farm the old traditional crops of millet and sorghum which are disease and drought resistant but, as with most of the other countries in Africa, maize was introduced by the World Bank in the 1950s and is now the most popular crop as the staple food in Malawi. 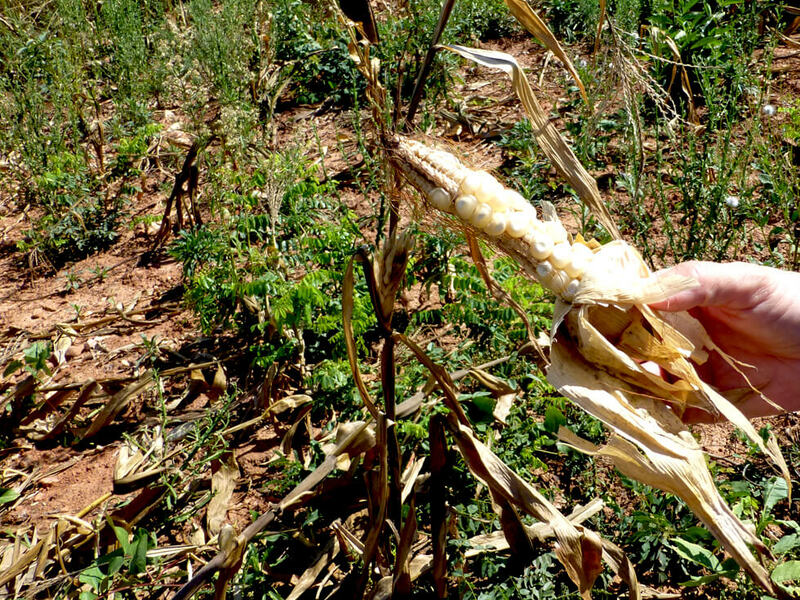 Ideally, maize needs good soil and nutrients, and sufficient water, but it is susceptible to disease and drought. 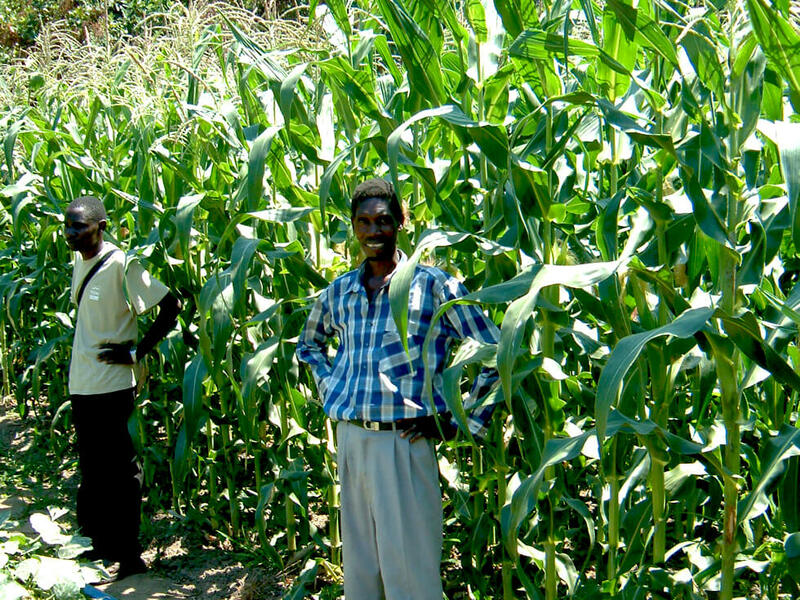 Maize is commonly grown in the rainy season from seed which farmers have to buy, and it is planted in December. 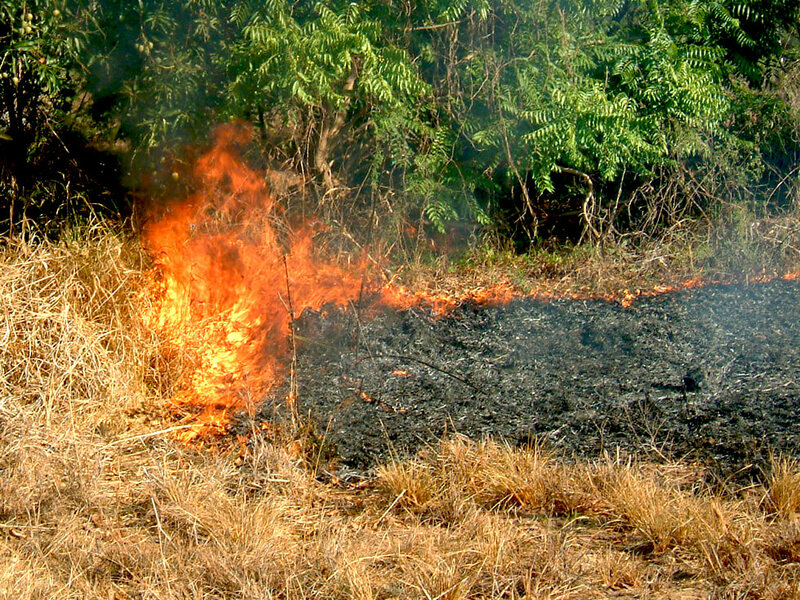 Unfortunately, Malawians rarely rotate their crops and often, at the end of the season, the fields are burnt to clear them so that the nutrients are destroyed and there is very little organic matter in the soil. Hence, increasingly, farmers rely on expensive, chemical fertilisers to increase their crop yields. In Nkhata Bay District, the most common crop is cassava from which a flour similar to maize flour is produced, and this is used as the staple food in the area. 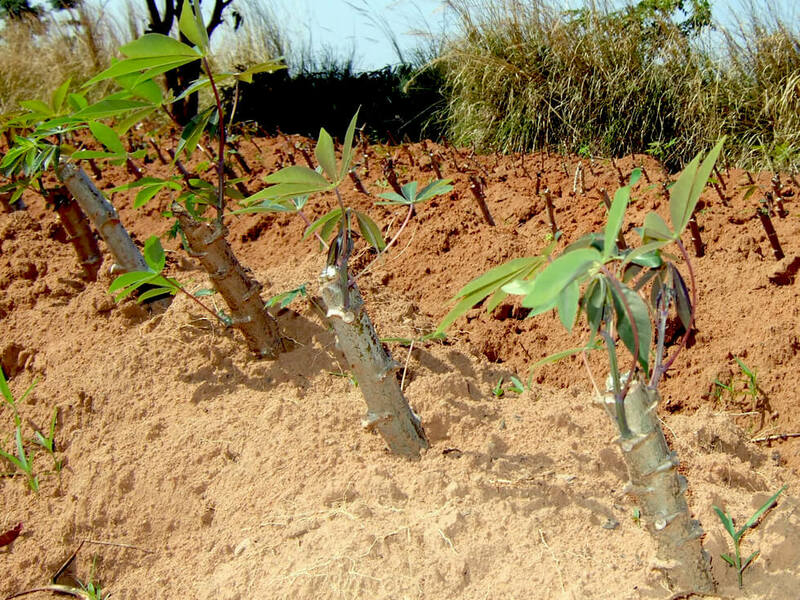 Cassava is reasonably easy to grow — a short piece of stem is planted in the ground, and this will grow throughout the rainy and dry seasons. As with maize, this crop is regularly planted without rotation. 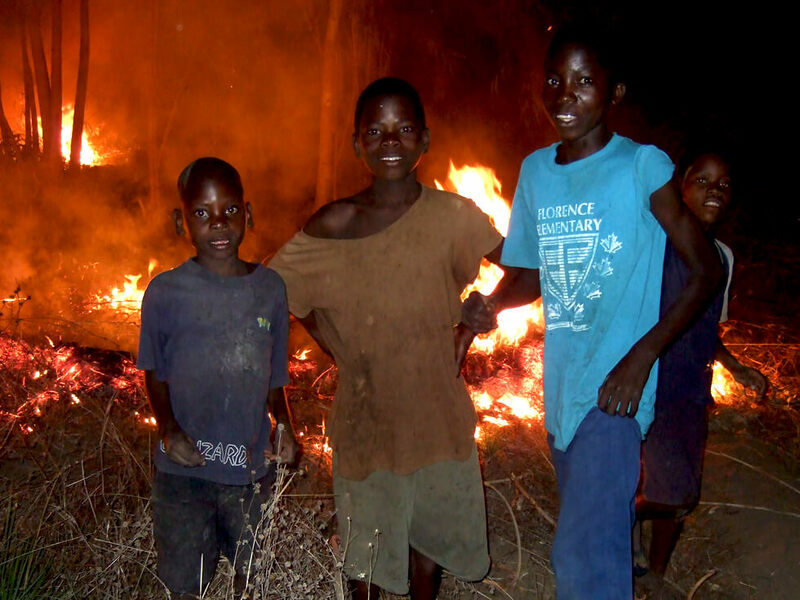 In the dry season, October/November, many farmers burn the bush as a quick way to clear their land, and children set fire to the dry vegetation for fun, with devastating results. 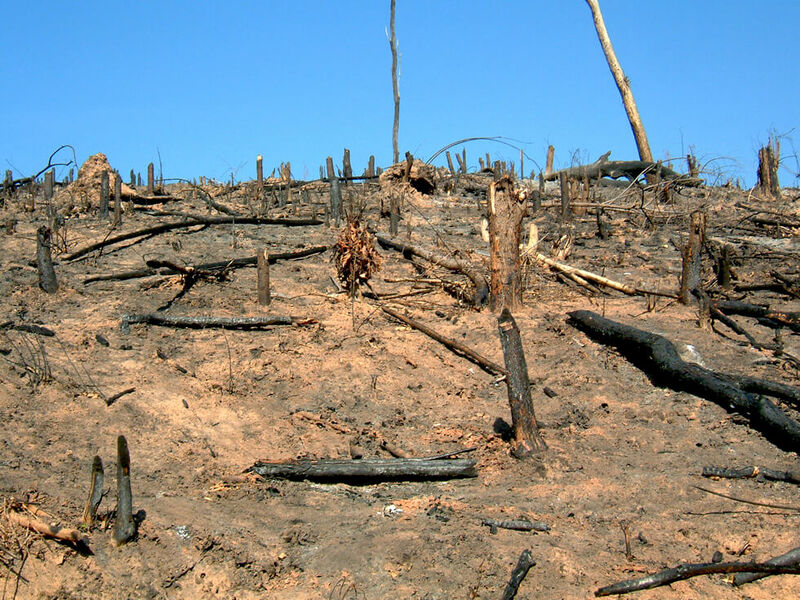 All of the organic matter is destroyed, and homes, trees, and seeds are also burnt, often leaving the soil sterile. Lake Malawi, which is the ninth largest lake in the world, is a major part of life in Malawi. It covers one fifth of the country and, traditionally, people who live along the lakeshore are fishermen. 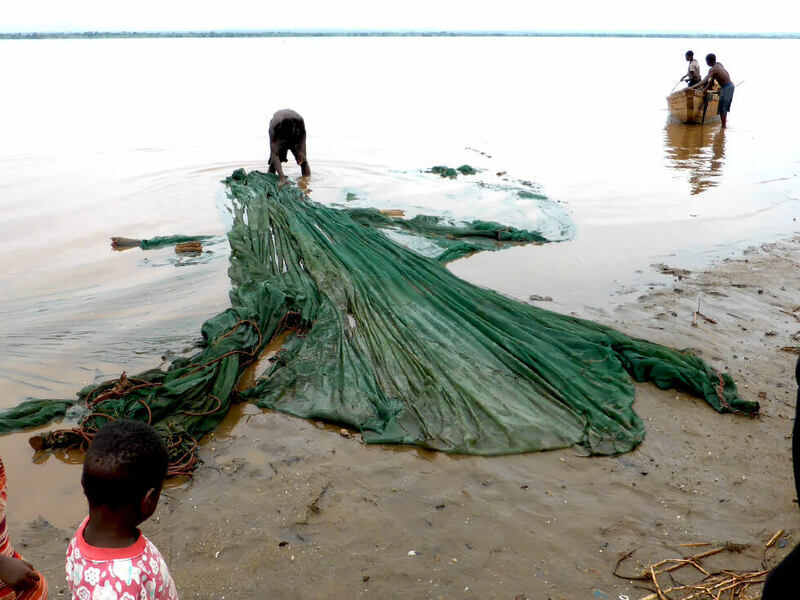 As a result of large-scale soil erosion due to deforestation, the lake is suffering from siltation which, together with over-fishing, has caused the fish stocks to reduce. 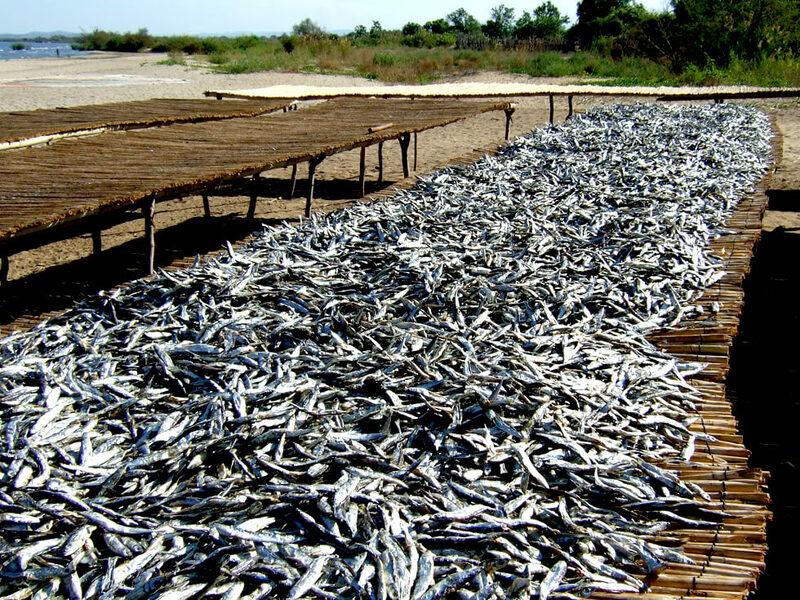 In the 1970s, the average consumption of fish was 14kg per person per year, but it has now fallen to about 4kg per person per year because of the reduction of fish stocks in the lake and the growth in population.